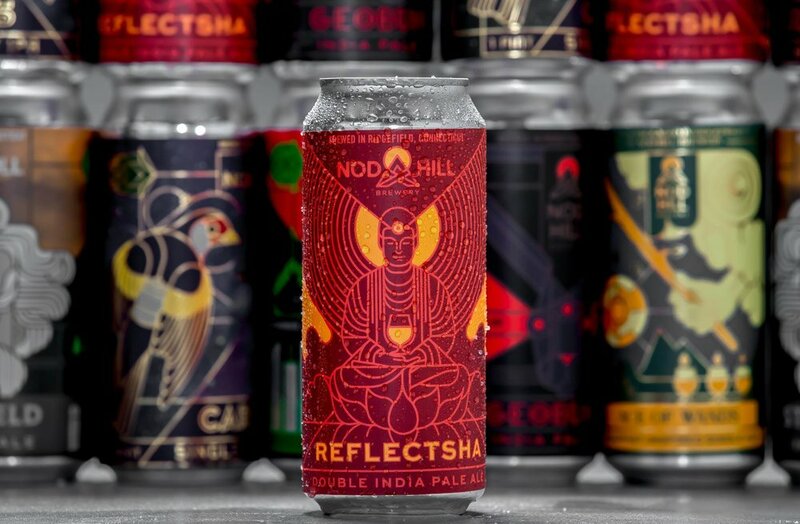 Nod Hill Brewery, based in Ridgefield Connecticut, crafts expressive, balanced, and unique beers that encourage a spirit of thoughtful enjoyment. They wanted their logo to incorporate natural elements - hill, campfire, moon - that evoked a picturesque setting for enjoying a beer amongst friends. They also wanted it to have a mysterious glyph-like quality that would be open to interpretation yet instantly recognizable. Nod Hill branding continues to take shape in many forms including tap handles, growlers, glassware, coasters, banners, shirts, signage and more. "I can't even begin to state the amount of positive response from our customer base to the branding that Brian is responsible for. People love it. We are also starting to see interest from distributors and other potential business partners who have all mentioned how much our branding has positioned us for success."